Organic black tea, cardamom, nutmeg, black pepper and peppermint. 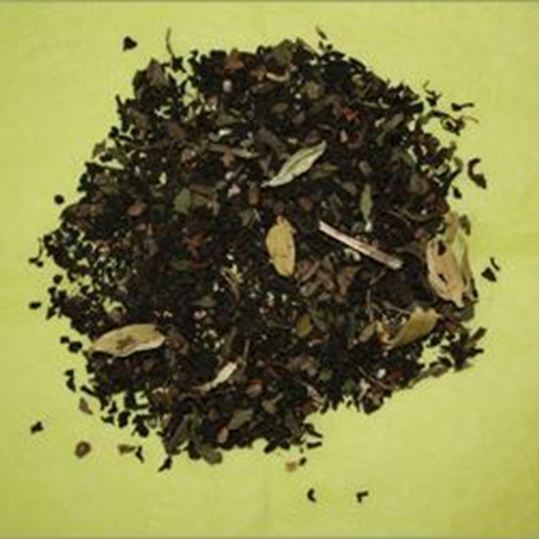 A wonderful blend of black tea, spices and mint that is refreshing and healthy. Sweet, spicy, notes of mint. Drink plain or with sweetener. Hot or iced.